My friend Robin has a darling store in downtown Springfield, Nebraska and I have sold several crafty items there the past two years. 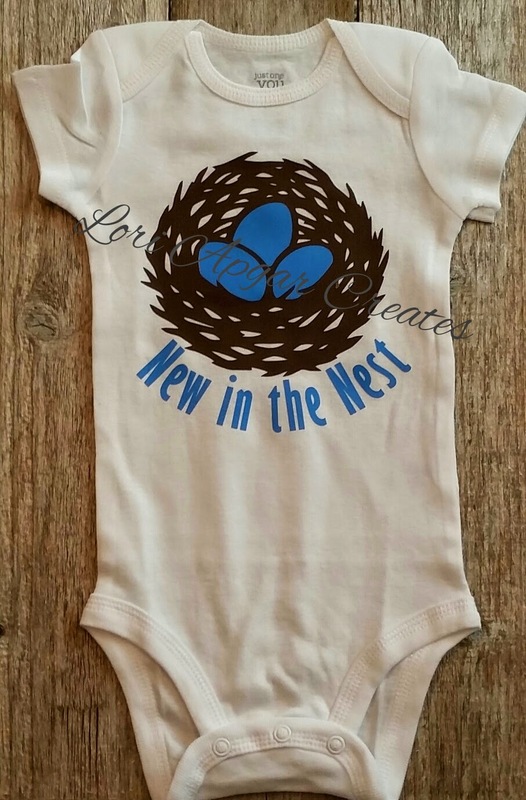 I have been having fun making Onesie Shirts and posting them on Facebook - Robin requested a "nest" shirt for the store. 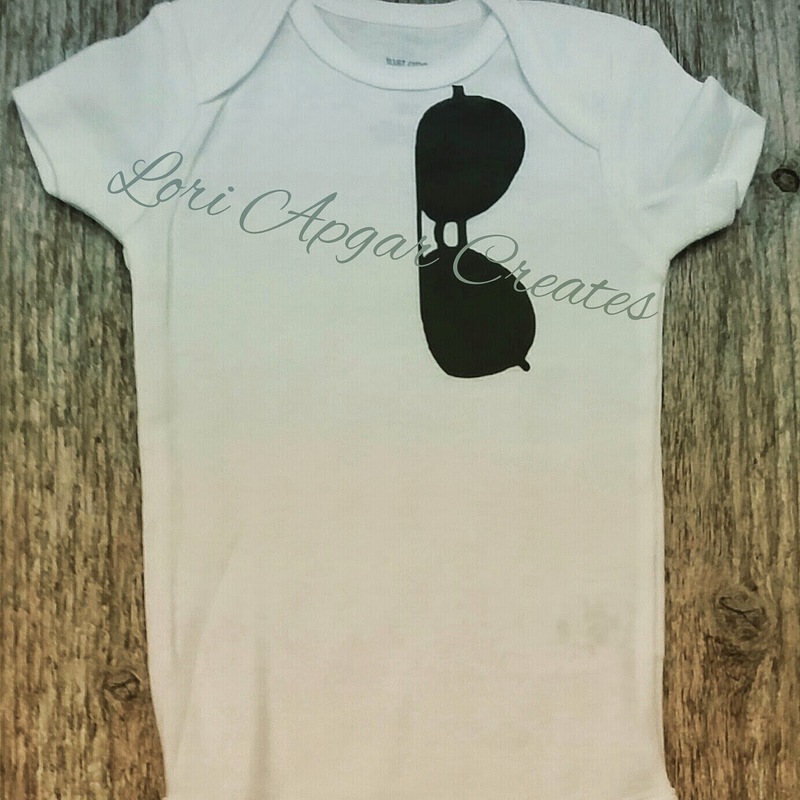 She has a darling little section for baby and asked me if I wanted to add some shirts to it!!! I was so excited! Here is the shirt I made. 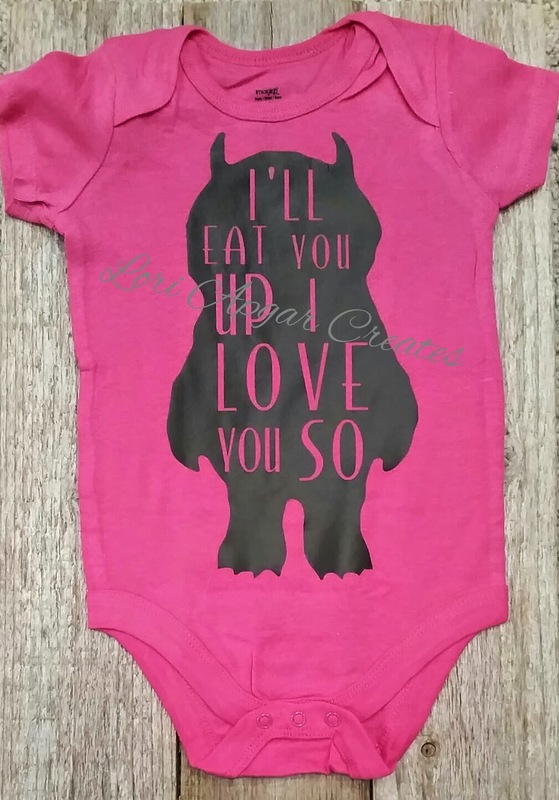 You can see more of my Onesie designs HERE in my Facebook group. This week begins a new challenge at Frosted Designs! 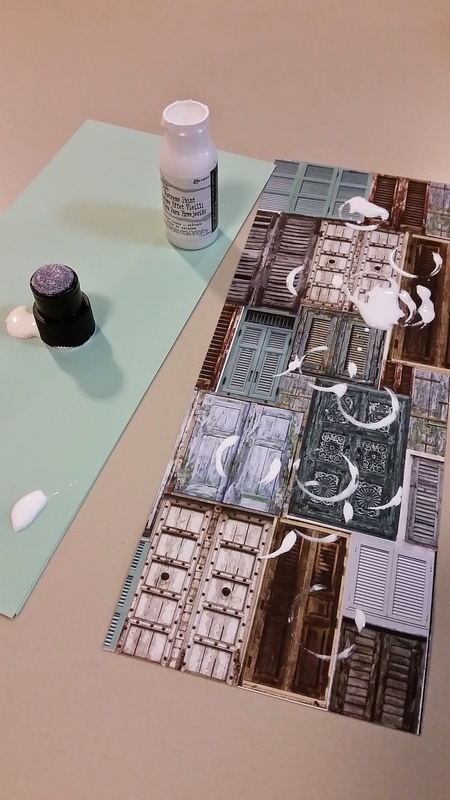 Our challenge is Drip, Drip, Drip (using inks and/or paint). 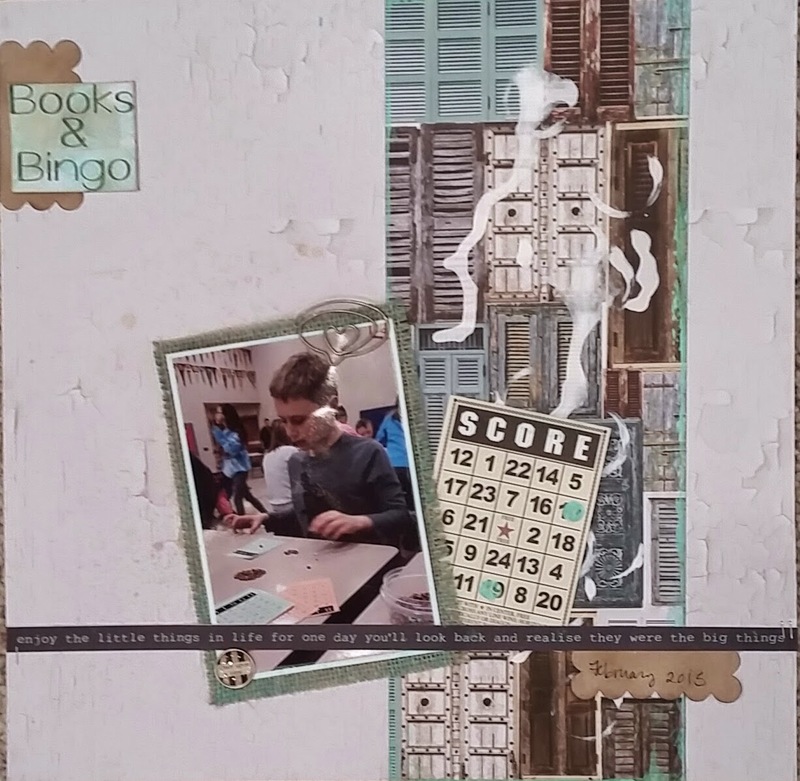 This layout is Tanner's Books and Bingo night during our Scholastic Book Fair. Every bingo winner gets to pick a book. It was pretty cut throat at our table!!! I really liked the papers from our Out of the Blue Kit and I decided to drip a little on them! 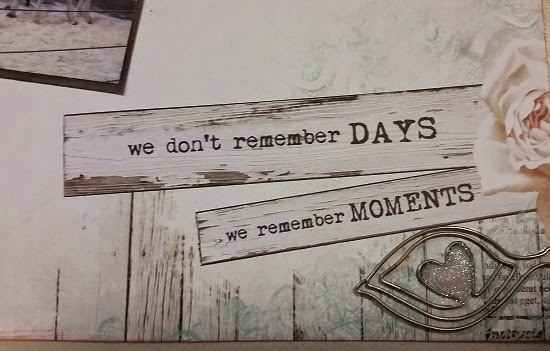 I used Tim Holtz White Distress Paint to drip some paint as well as make circles with the lid. I picked up the paper and let the paint run. The paint is very thin but I did let it dry overnight. 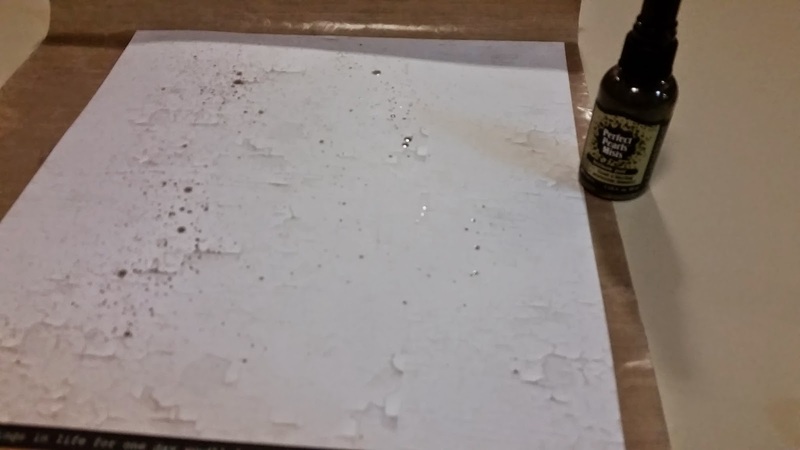 I spritzed this paper with Perfect Pearls heirloom gold. It softened the paper a bit. Brown/gold is always a good boy color!! I used African Jade Silks Acrylic Glaze to color a bit of burlap to mat my photo. 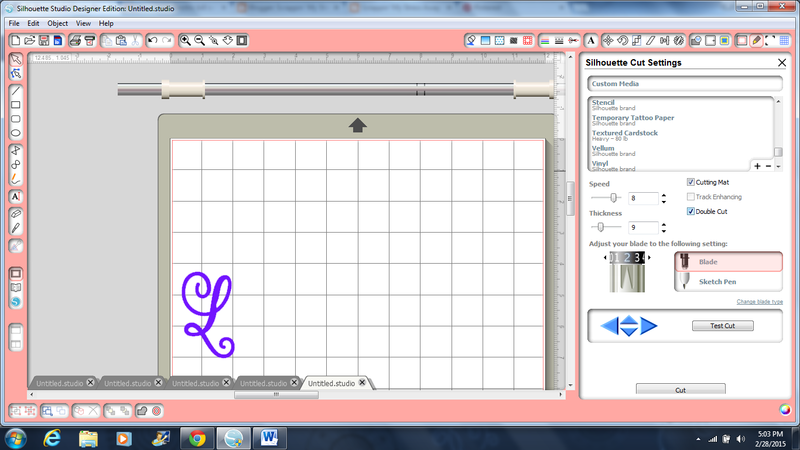 I also used it to color my title - I printed Books and Bingo using my Silhouette studio. I added some glaze bingo dots and I inked the edges of my "shutter" paper. Come get messy with us at Frosted Designs!!! Come check out our monthly kits and messy add ons HERE! This is for my friend - her husband is a police officer and they are expecting a boy! Every boy needs cool shades! 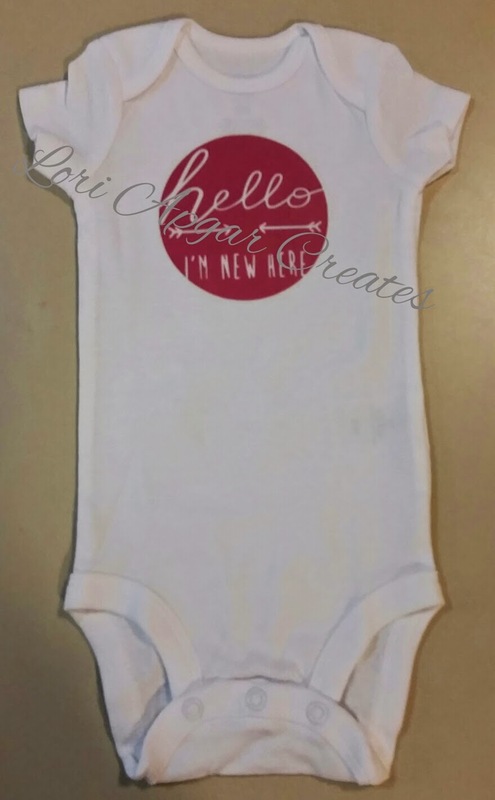 I just love the "Hello I'm new here" shirts! 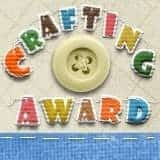 I have a new Facebook Group with all of my crafty items. If you are interested in them, you can check it out HERE. Today I am featured at The Buckle Boutique! 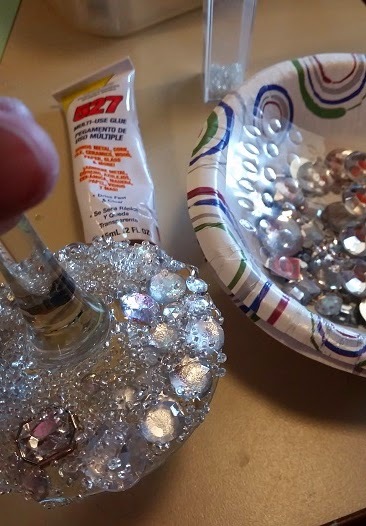 I am using some of the Glitzy Glitter Vinyl to decorate a wine glass. 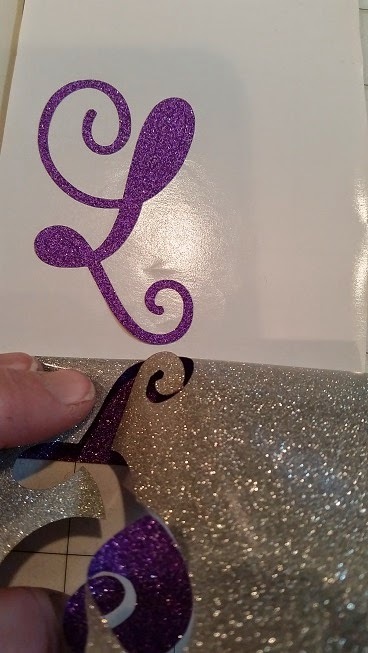 I love this glitter vinyl - the glitter is embedded into the vinyl so it is smooth and easy to cut! It is very sparkly! 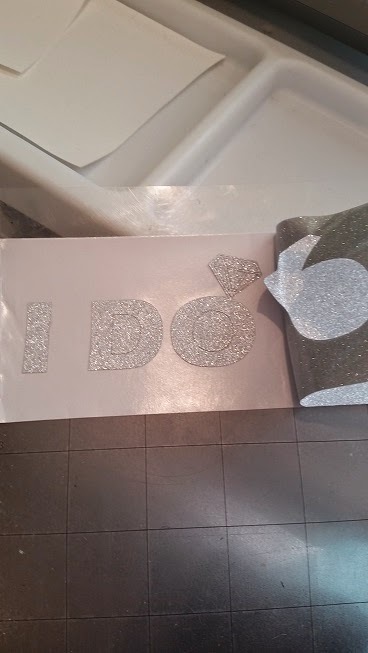 I designed my "I DO" and welded a diamond to the "O" using my Silhouette Studio. 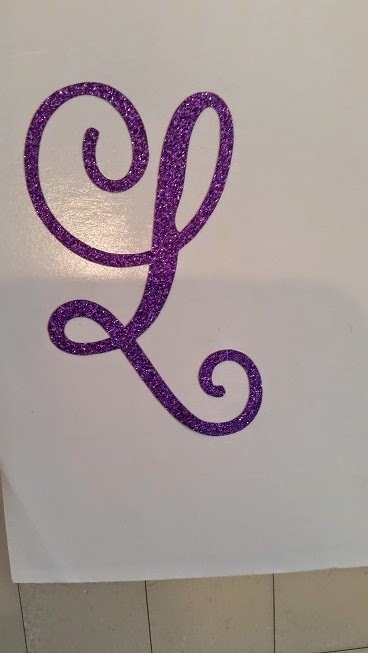 I used the Vinyl setting (and added a double cut) to cut out my design with silver glitter vinyl. I pulled up the negative piece really easily! I used my dental tool to weed out the extra pieces. 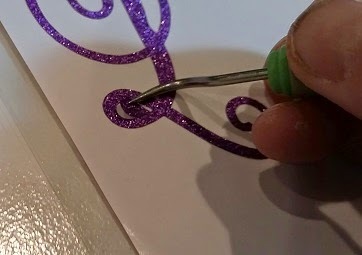 The last time I used glitter vinyl, I tried my usual transfer tape but the tape did not stick to the vinyl, I ended up not using any transfer tape at all. 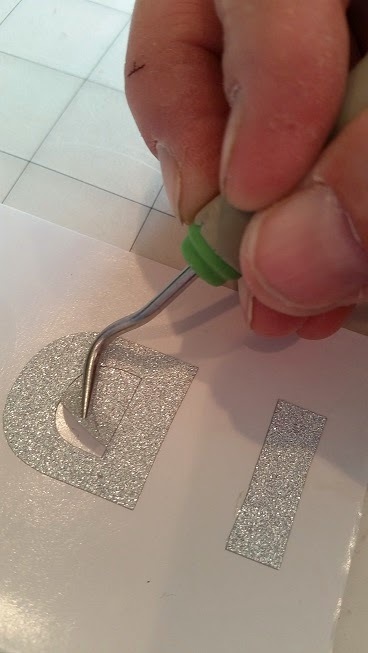 That is ok if you have one shape or image, but I love using transfer tape to keep my letters in place. This time I used painter's tape and it worked like a charm! 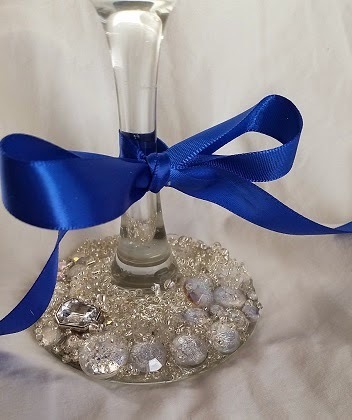 I added some gems and seed beads to the bottom of the wine glass. I used Beacon 527 glue to adhere the gems. I added a bow. This can be one of the bride's wedding colors or just her favorite color. I should have used green for St. Patrick's Day today!! You can also see how the gems shine here! The vinyl really shines too! I just love this stuff!!! Hand washing the glass is recommended! I made these wine glasses for my sons' dentist. She is a good friend of ours and takes wonderful care of my boys' teeth!!! I made enough wine glasses for the staff too (a variety of my most popular designs) and will bring a bottle or two of wine to our next appointment. I have a lot of fun with my wine glasses!! 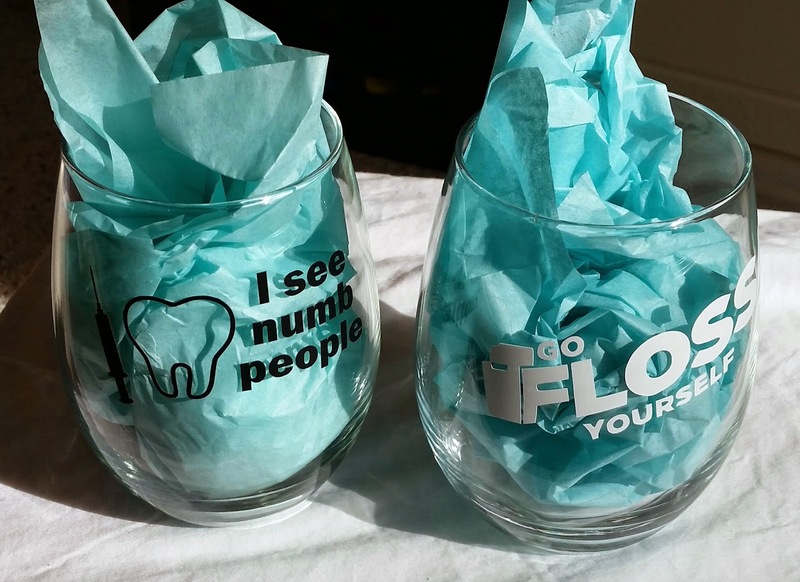 I looked up funny dentist sayings on Google and re-created these using my Silhouette Cameo. 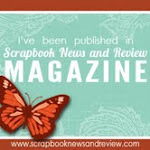 Today begins a brand new sketch challenge at Let's Scrap Sketches. I immediately thought about using a giant Mickey Head on this sketch!!! Here is our sketch. You can configure this into a one page sketch or card as well. I chose a two-page sketch. 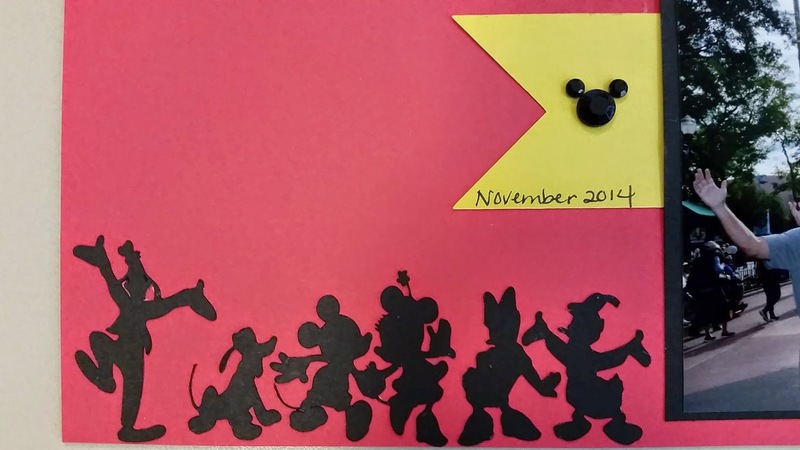 I cut the Mickey Head, Key to the Castle and Disney friends using my Silhouette Cameo. I used my Cameo to print off my title onto white cardstock. 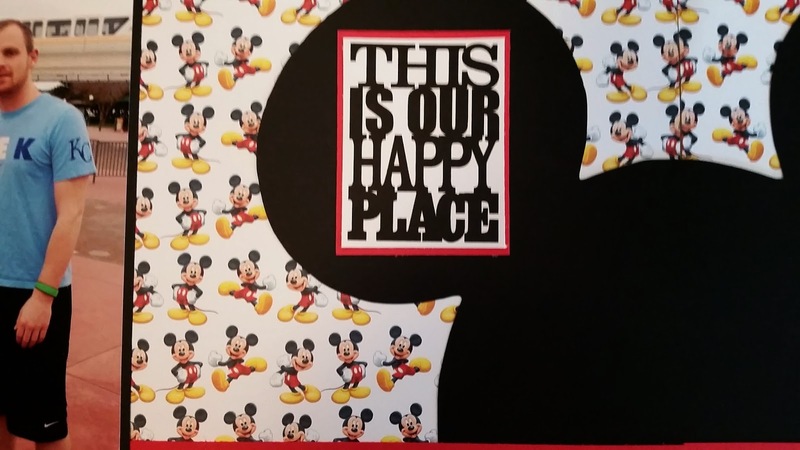 Disney truly is our happy place!! I added Mickey and Friends to the bottom corner. I hand wrote the date on the flag and added a Mickey head crystal. 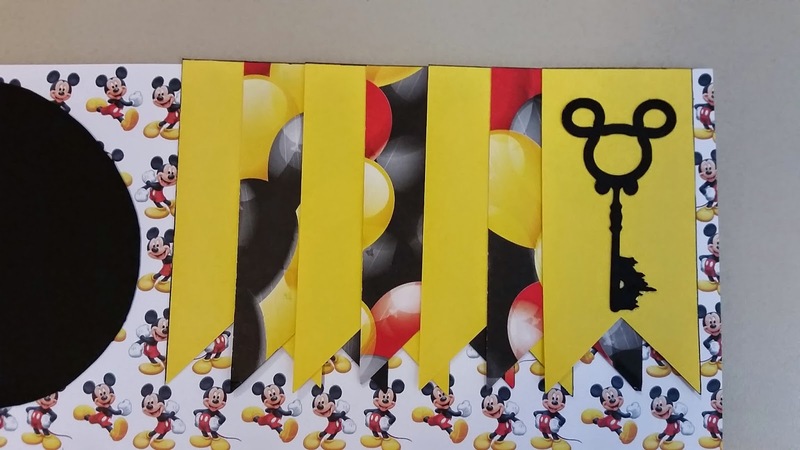 I added this adorable key to the castle image to the banner flags. I added some of my favorite photos from our trip last November!! I hope you consider joining us with your own version of this sketch!!! This week begins a new challenge at Frosted Designs - Pink! People who know me know I am not a pink girl. I have 3 boys and have never been a girly girl. I prefer my pink subtle - and that is reflected here in my layout too. 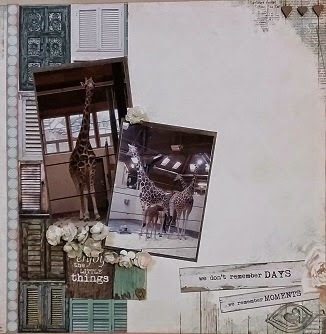 I LOVE giraffes and I LOVE the papers in our newest Kit Out of the Blue! We went to the zoo on Christmas Eve and saw the baby giraffe - he is sooooo cute!!! I tried using more pink (we have some fabulous pink papers in the Sweet Love Kit) but the shades and flowers just did not look as good with my photos. I added some pink with ink and Art Sugar. I dipped the flowers in decoupage glue and poured the art sugar over them. I inked these white flowers with light pink art sugar from the Sweet Love Kit. I cut apart some papers to add some layers. I inked the edges of the papers with Peaches Mixed Media Inx. 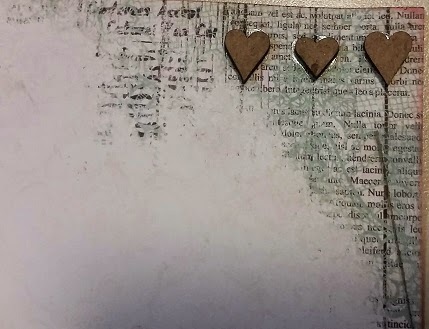 I used Glossy Accents and Art Sugar to fill in the heart on this metal leaf clip. 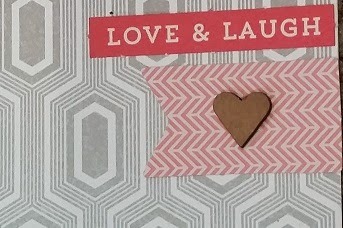 I added some chipboard hearts on the top corner. 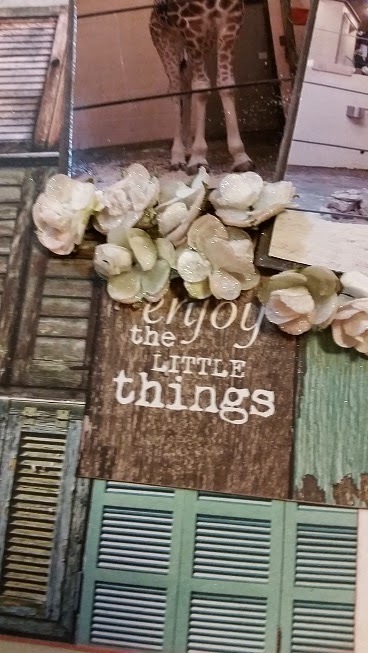 I just love these papers - very shabby chic!!! 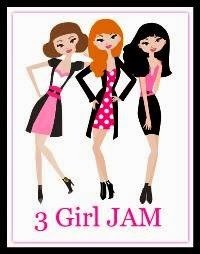 Please join us with your pink projects HERE!! 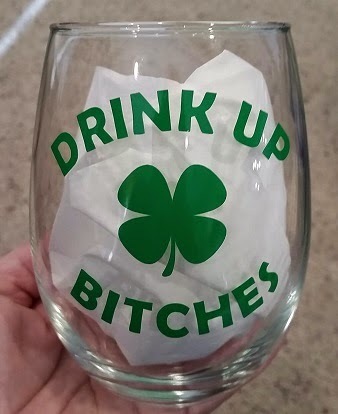 I created a few designs for St. Patrick's Day! I have several friends who send me ideas and both of these ideas were shared with me! 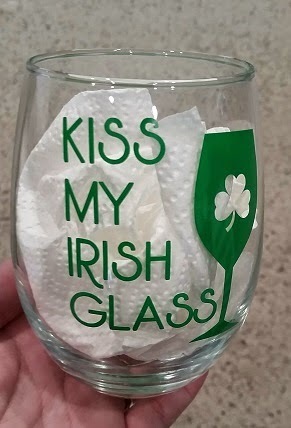 I have a wine glass that says Kiss My Glass - we just added a bit of Irish to it! 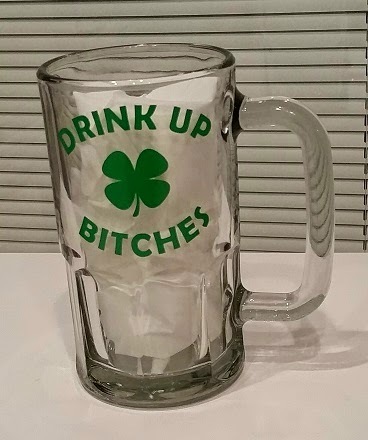 This image was on a shirt, but I put it on a beer mug (for my girls who prefer green beer). 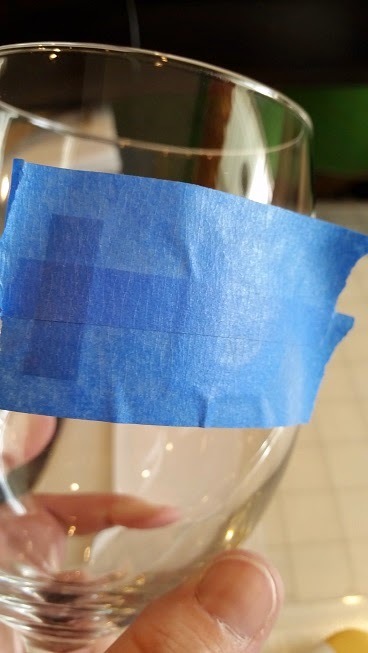 I also added this on a wine glass. Have a happy and safe St. Patrick's Dau!!! 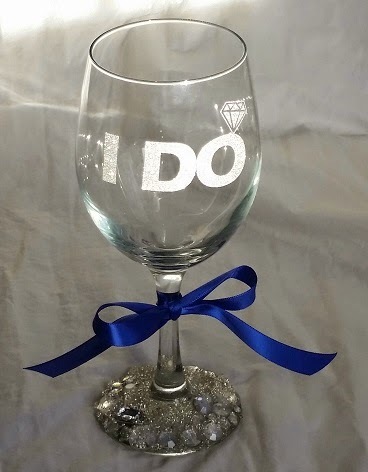 I sell my wine glasses at Twisted Vine in Papillion, NE as well as take personal orders. You should have arrived from MADGE! 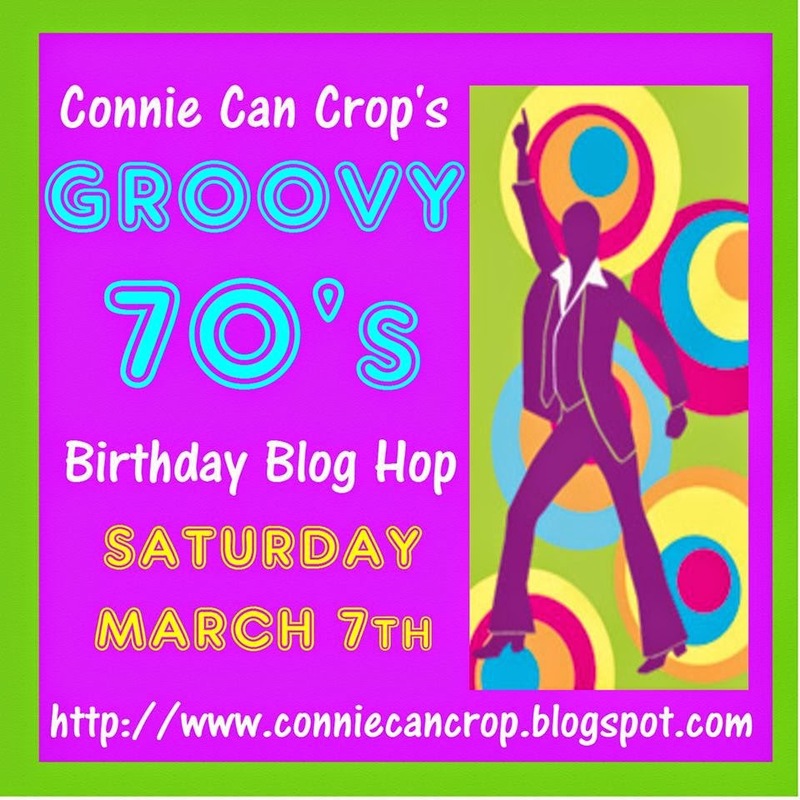 If you need to start at the beginning, Connie Can Crop is the first stop on this Groovy blog hop. 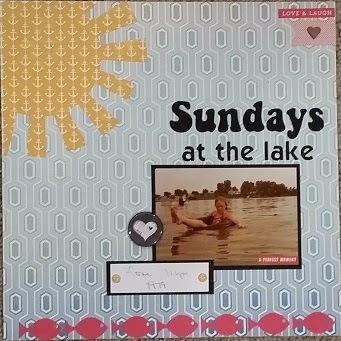 Every Sunday in the summer, we spent the day at the lake. We had a cabin and my dad had a boat. If you look real close you can see the boat in this picture. I found this paper and knew it would be perfect for my layout - it reminds me of some of the wall paper we had (the shapes not the color). I photo copied my mom's writing from the back of my photo. My mom passed away in 1989 so I don't have much of her handwriting!! I have red in my swimsuit so I added a row of red fish to the bottom of the paper. 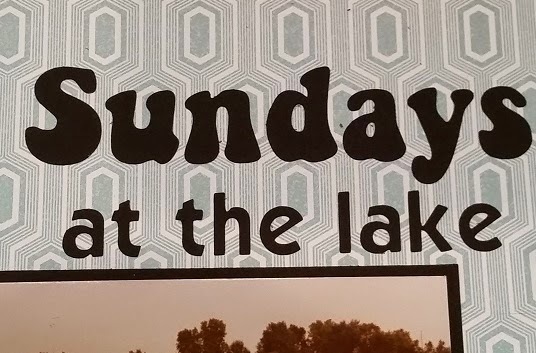 I found a 70ish font and cut out my title with my Silhouette Cameo. I added a touch of red to the top corner. 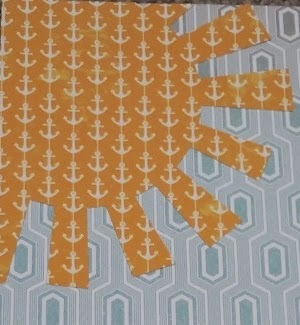 And my favorite part of this layout is the yellow anchor paper sun!! 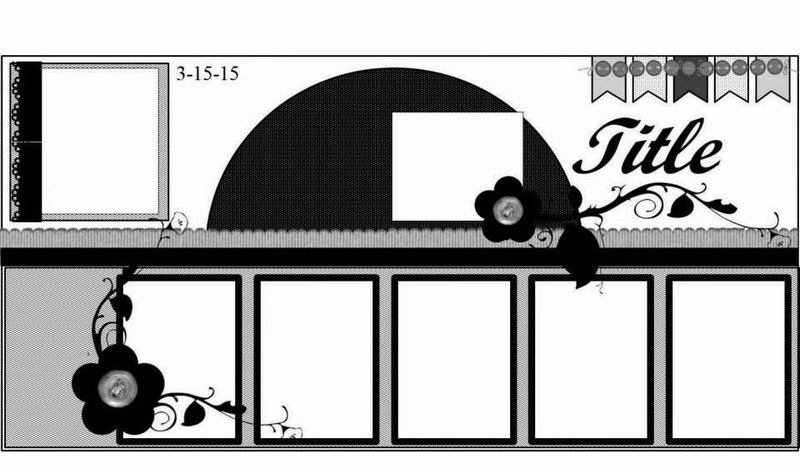 This next layout is one of my Halloween costumes. I am younger here - I am guessing 4 or 5. My mom made my angel costume. 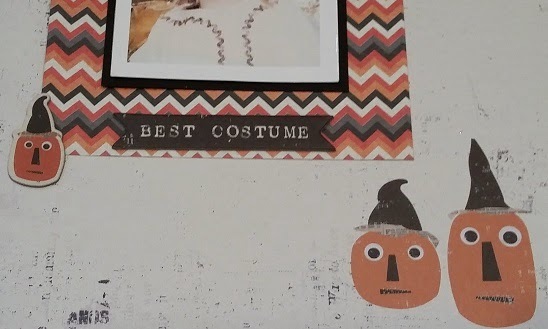 I used this scrapbook paper because it reminded me of the Raggedy Ann doll I had as a child. 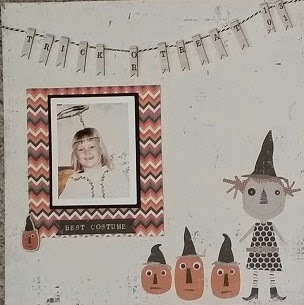 I used a chipboard pumpkin and Best Costume banner on my chevron photo frame. My mom was very proud of this costume!! 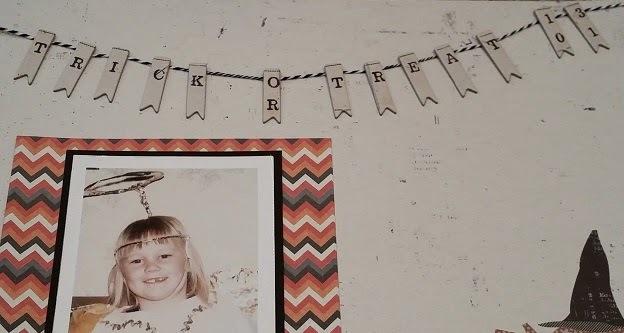 I strung a banner of chipboard letters with some twine across the top of my layout. Up next is the Marvelously Groovy Michelle!! Hello - Today I have a sneak peek at a brand new product coming to The Buckle Boutique!!! Glitter vinyl!!! Many of you know that I love cutting vinyl and putting it everywhere!! Now I can add a little sparkle!! ****UPDATE Some of the glitter colors are now in the store HERE. 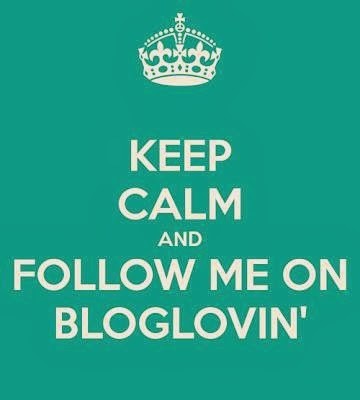 I use the font Ballerina Script from dafont.com. I offset it a tiny bit to thicken it up. I measured the back of my cell phone and sized my "L" to fit (2.750 h x 1.685 w). I used my Silhouette Cameo to cut it out using the Vinyl setting, but adding a double cut. It cut like butter!!!! This vinyl is very sparkly. It is very smooth and the glitter does not rub off! I peeled away the extra vinyl. You can see the back side is a sliver glitter! I used my dental tool to weed out the center pieces. You can really see the sparkle here! 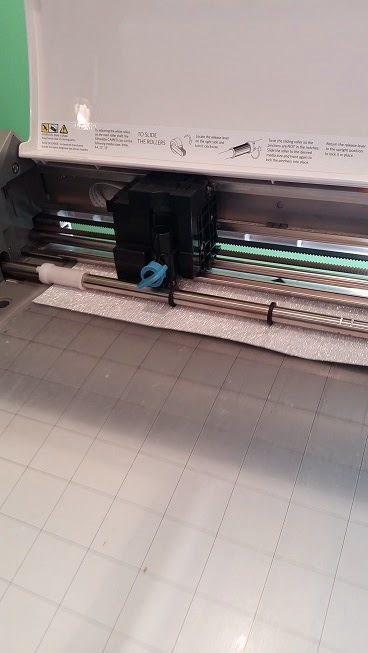 Normally I use a transfer tape when working with vinyl. 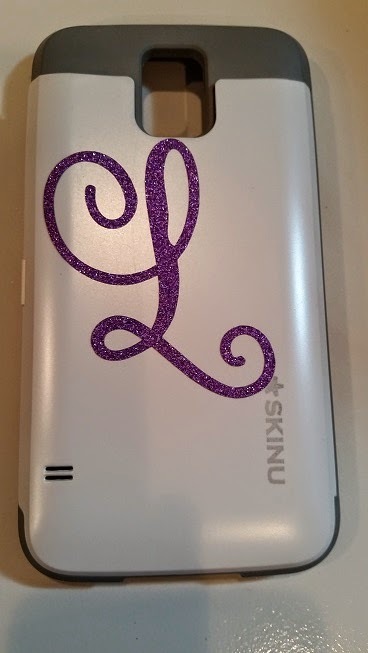 The glitter vinyl did not really stick to the transfer tape I have here, so I just carefully peeled it up and put it on my phone case. I am going to experiment with some different tapes for those intricate designs!! 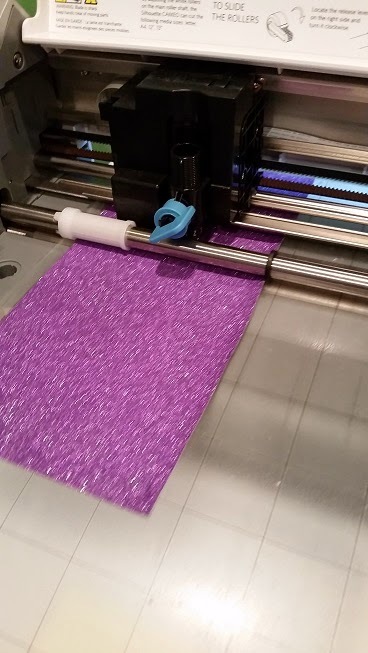 Can you see the possibilities of glitter adhesive vinyl??? Join me again to see!! !